Ousted Advisor Sebastian Gorka Predicts Trump Will Boot More "High-Ranking" Insiders Before Christmas - Joe.My.God. 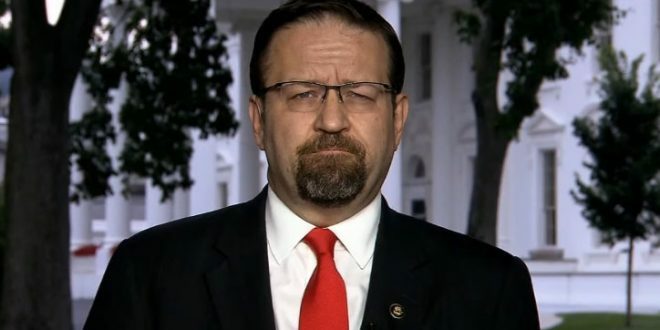 Trump’s controversial former national security aide also predicted a major staff shakeup before Christmas when Trump realizes his current senior aides “are giving him the wrong advice.” Gorka also left the door open to both him and Bannon returning to the administration. “I predict, a lot of the changes… almost all the changes in personnel, the significant changes, were not made by the president, they were made by people below him. I predict that soon, perhaps before Christmas, the president will be removing high-ranking individuals from inside his administration because he will realize who he’s surrounded with,” he said.